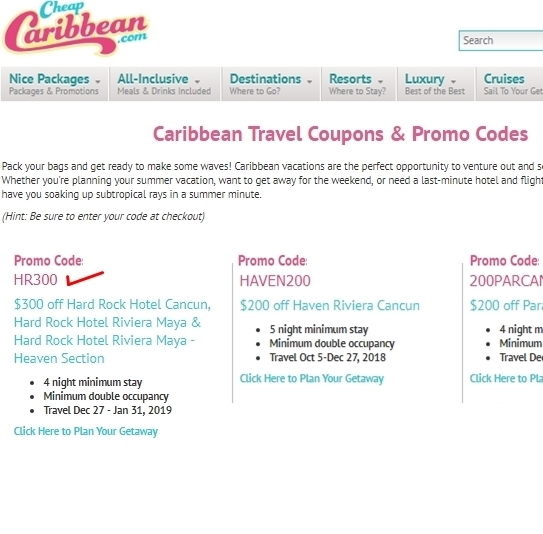 Allen Miller $300 off Hard Rock Hotel Cancun, Hard Rock Hotel Riviera Maya & Hard Rock Hotel Riviera Maya - Heaven Section. Tested this promo code and verified that it works as described. Use promotional code HR300. 4 night minimum stay Minimum double occupancy. Travel Dec 27 - Jan 31, 2019.